This year however, things are fixing to be a lot better and more secure….An injury in the outfield this year will see A great fielder with pop in Keon Broxton taking over, and even if that fails, Brody made another great under the radar signing, Rajai Davis, A veteran player who has tons of playoff experience and can fill in admirably….So this year us fans will not have to see Dominic Smith lumbering around in left field! The Infield is even more prepared this season. Jose Reyes and his sub 200. Batting average won’t be our number 1 backup this year. Behind Frazier, Rosario, Cano, And Alonso, there is a plethora of talent just waiting for at bats! Lowrie, who drove in 99 runs last year (More then anyone in the nl east not named harper) will be getting plenty of at bats. Jeff McNeil will also see plenty of playing time along with Dom Smith as a backup……That is more depth then this team has had in years! With Ramos manning the helm at catcher, D’Arnaud us now a backup, And offensively, Travis projects as one of the best backups in the business. So it should be to the delight of all Met fans, this year we won’t be relying on Luis Guillorme, Jose Lobaton, or Phillip Evans to give us a spark off the bench. Thanks to Brodie’s focus on extra pieces, contradictory to the last few years an injury or two will not completely sink the entire season. 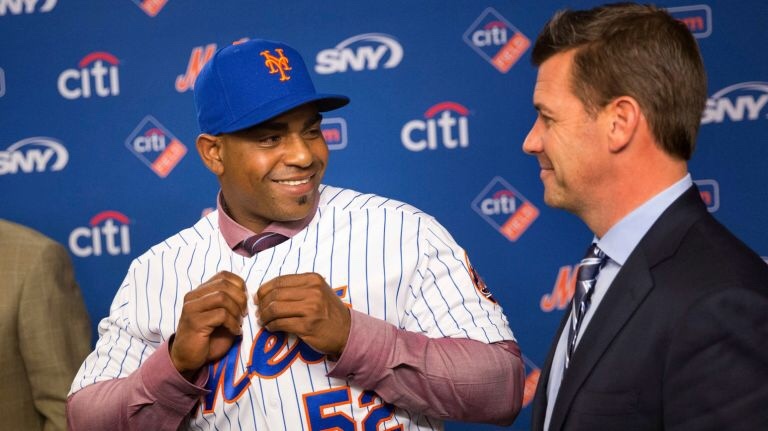 And by the way Fellow Met fans, don’t forget dynamic young Giminez, a tremendous prospect who is pounding on the major league door……..
Next The Mets Starting Pitching depth?